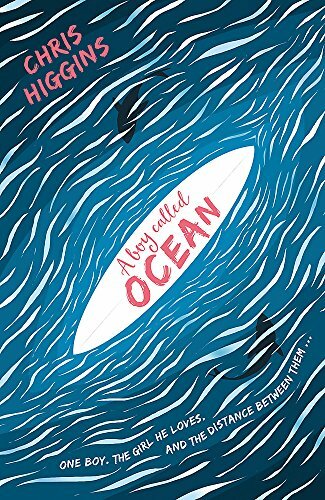 A resonant and compelling contemporary story steeped in the author’s love for and knowledge of the Cornish coast that has you rooting eagerly for the main protagonists Kai and Jen. Kai and his Mum have been on the move for much of his early life finally settling near a small cove in Cornwall. Kai is an anxious boy prone to walking out of situations he can’t handle. At school Jen takes Kai under her wing and the two soon become inseparable. Fast forward a few years and Jen and Kai are still best friends but both are beginning to have feelings for each other and neither quite knows how tell the other. Kai is convinced Jen fancies the hunky lifeguard, Macca and Jen is sure Kai is not interested in becoming more than friends. Then Kai decides he will declare his feelings and books the best table as the restaurant when he works as a surprise for Jen. But nothing goes to plan and between misunderstandings, some mixing from Jen’s best friend Ellie and disaster in the restaurant the evening culminates in a complete meltdown by Kai. To cool off he decides to take Macca’s favourite paddle board out to sea. And he does not heed the warning that a storm is on its way. Very quickly he is at the mercy of the elements and is pulled so far out to sea he can barely see the shoreline. Told in alternating chapters this is the story of the life or death situation Kai is forced to confront, how he faces his demons and comes to a greater understanding and acceptance of himself and the world around him. This is a pleasure to read; the power of the sea and the danger Kai faces is palpable, the dedication of the lifeboat crew both moving and tender plus the romance feels entirely genuine without any trace of cloying sweetness. Above all this is a feel-good story with the tightknit bonds of family and friends pulling together at its heart.